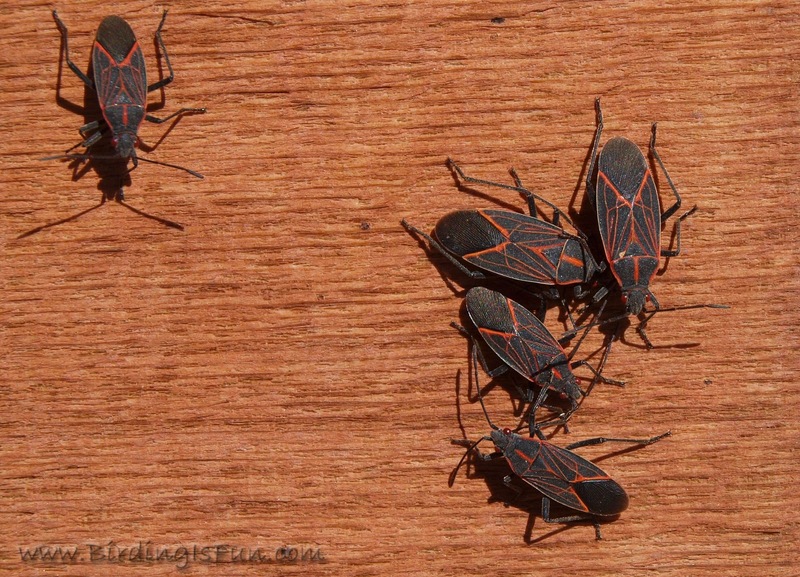 Box Elder Bugs are creepy, but cool looking. Don't squish 'em though. Their guts stink somethin' fierce. Yea, we have one like that, but its green and it stinks. I wondered about these bugs. They have been trying to get into our house, collecting at the doorstep and around windows. Thanks for the warning on the odor. I haven't crushed any, generally try to respect bug life too, as long as they are not harmful. Thanks Bob and Hilke for leaving a comment! These Box Elder Bugs often come in such numbers that it is impossible not to squish a few. I once had one in my office and squished it in a kleenex and it stunk up the whole office. Oh goodness - that's what those things are... 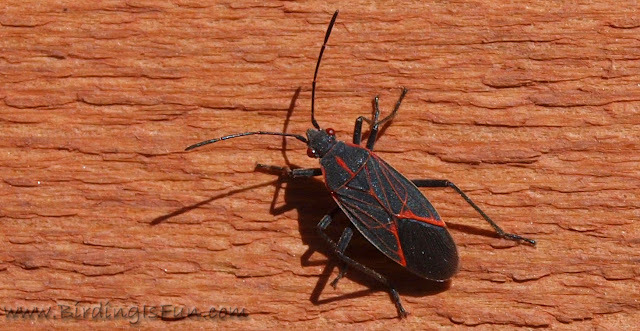 I generally try to evict them without harming them since I try to respect all creatures as much as I can. Now I'm glad I have... to stink up an office - yuck! Love your blog - your photos are great, and your bird list is amazing! Birding is definitely fun - I feel blessed to have so many feathered friends around here. Thanks for sharing yours! Avimor Big Sit! - this Saturday!! !